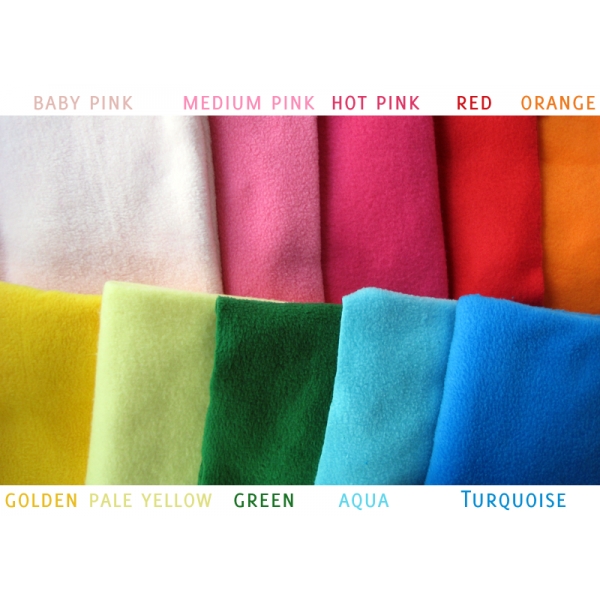 My recommendation: They look great with a brightly-colored Upper and a neutral Belly. Be creative! I love making new colored narwhals. Feel free to email me if you want my input. Narwhals seem too cool to be true, like the legendary unicorn. But they are real animals, Arctic-dwelling whales with a tusk that can be up to 8 feet long! I know, Narwhals are awesome. And you can have your own plush narwhal, made of soft squishy fleece! 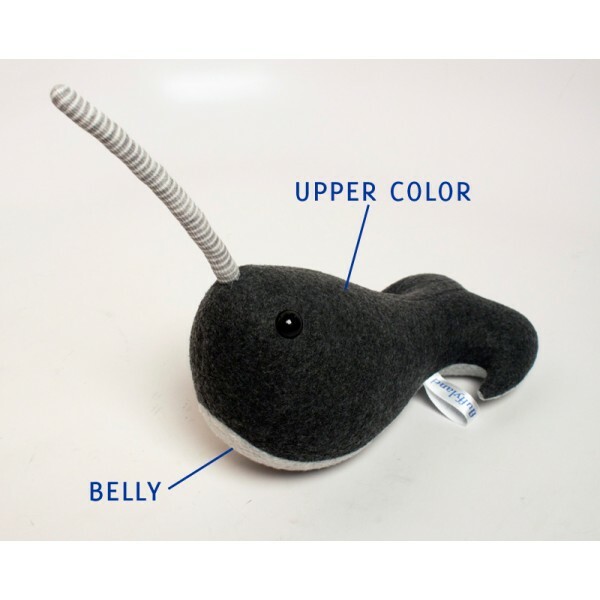 These soft narwhal plush toys are made from soft polar fleece. They are stuffed with squishy poly-fil and have plastic safety eyes. The tusks are gray-and-white striped, and they are stuffed as well - no wires or otherwise pokey internals! 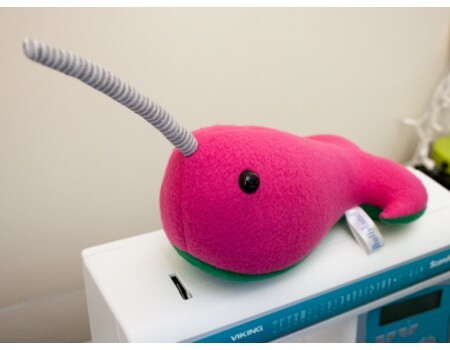 The custom stuffed Narwhals are made to order with a 7-10 day processing time. If you have an urgent narwhal emergency, choose the "rush processing" option, leave a note in the comments at checkout, and I will do my best to get it made &amp; sent in time! The stuffed narwhals vary in size, but average 8 inches down the belly, 4 inches high, with an approximately 5-inch tusk. NOTE: Plush narwhals are quality handmade stuffed animals but are not recommended for children under 3.